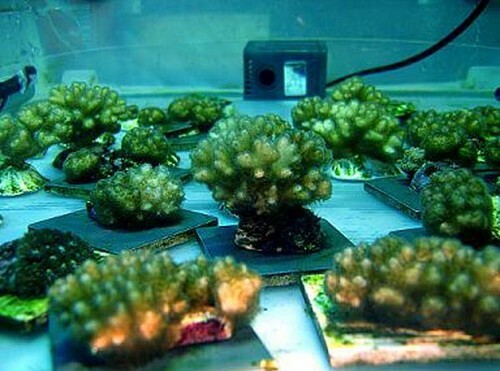 Each 500ml cup contained one juvenile Pocillopora damicornis colony and was supplied with aeration via an outdoor, 50W air pump. 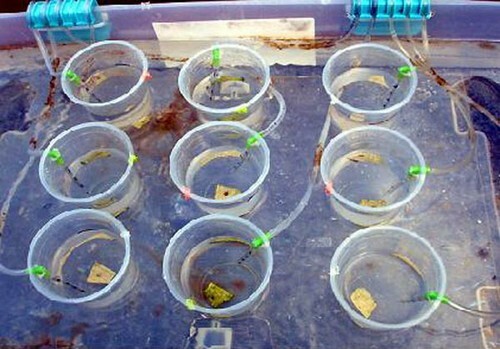 Temperature was maintained by placing the cups in a water bath (25º C) and a 70% shade cloth was used to minimize over exposure to direct sunlight. 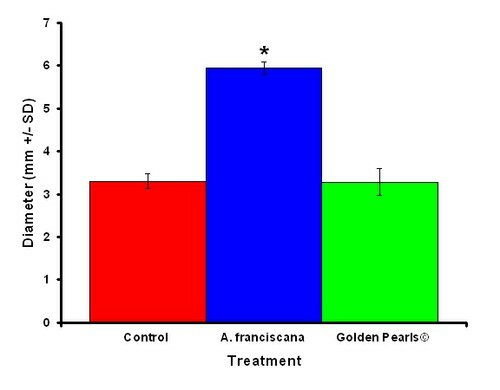 Nutritional values for A. franciscana and Golden pearls© were reported to be similar (Artemia Int’l 2007). 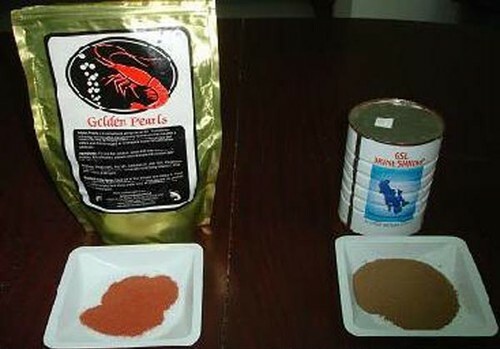 I found that using 0.55 g of GSL©90% Premium hatch (400 μm) and 0.50 g of 400 μm Golden Pearls© in one liter of water produced equal amounts of food. Each night, I used a 5 ml pipette to extract 3.5 ml of enriched seawater which was distributed into each treatment cup. Food remained in the cups overnight. The following morning 100% of the water was changed and no additional food was added. 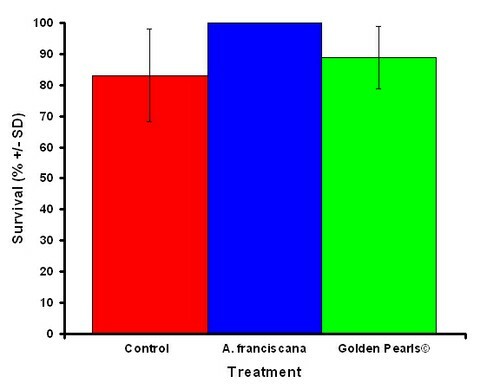 Data was analyzed using a two-factor ANOVA (factors: treatments and clones). Count data was square-root transformed prior to analysis. Schaffelke, B. and Klumpp, D.W. 1998. 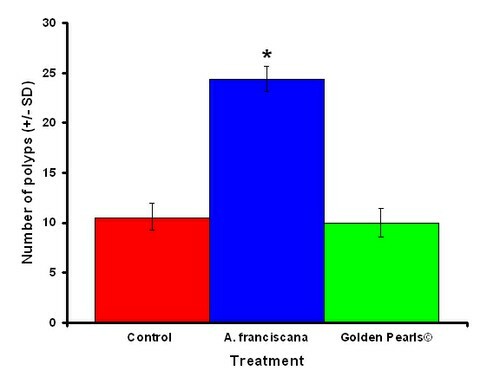 Short-term nutrient pulses enhance growth and photosynthesis of the coral reef macroalgae Sargassum baccularia. Mar. Ecol. Progr. Ser. 170, 95 – 105.